A chemical peel is used to improve the cosmetic dermatology of the face, neck, and hands. The skin is comprised of three layers, and specific chemicals can be used to produce layers that are smoother and less wrinkled. The only peel that may require a painkiller or sedative is the medium version. 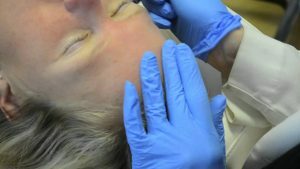 In recent years, chemical peeling has reached the point where a single consultation with a professional in cosmetic dermatology can accurately determine the treatments most beneficial to the patient. Treatments are evaluated by skin type, color, age, current condition, and the results desired. Information contributes to the type of peel and intensity of acid best suited to the patient. Computer images can reveal how the skin will look afterward. 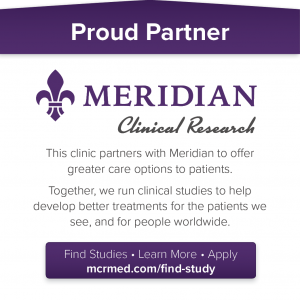 Procedures are conducted on an outpatient basis; no hospitalization necessary. Chemical peeling is designed to remove the anticipated thickness of skin that has been damaged. Normal healing and rejuvenation of the skin will follow while minimizing such complications as pigmentary changes and scarring. The basic types of chemical peels follow. Alpha-hydroxy acid or another mild acid penetrates the skin’s upper layer and gently exfoliates it. The procedure enhances the appearance and cosmetic dermatology of mild and rough discoloration of the skin while refreshing the face, neck, chest, and hands. Glycolic or trichloroacetic acid is used to remove damaged cells from the upper and middle layers of skin. Cosmetic dermatology treatment improves the appearance of fine lines, wrinkles, freckles, age spots, and moderate skin discoloration. The acids are also used to treat precancerous growths and smoothen rough skin. Damaged cells are removed from the middle layer of skin by trichloroacetic acid or phenol. So, too, are moderate lines, freckles, age spots, and shallow scars. This procedure can be performed only on the face, and dramatic improvements are often the result.